CAPT. 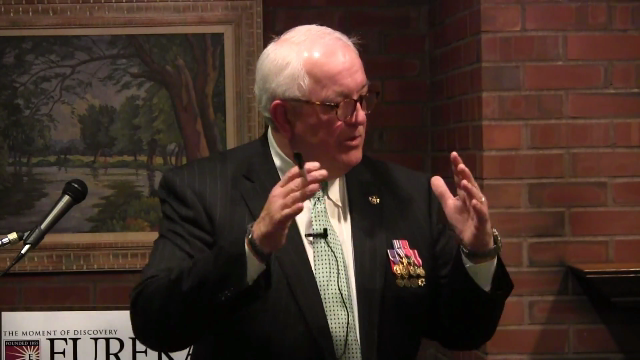 WILLIAM "HAWK" ALBRACHT is a highly decorated Vietnam veteran and retired Secret Service agent. Over a White House career spanning 25 years, he protected six American Presidents and numerous foreign dignitaries. 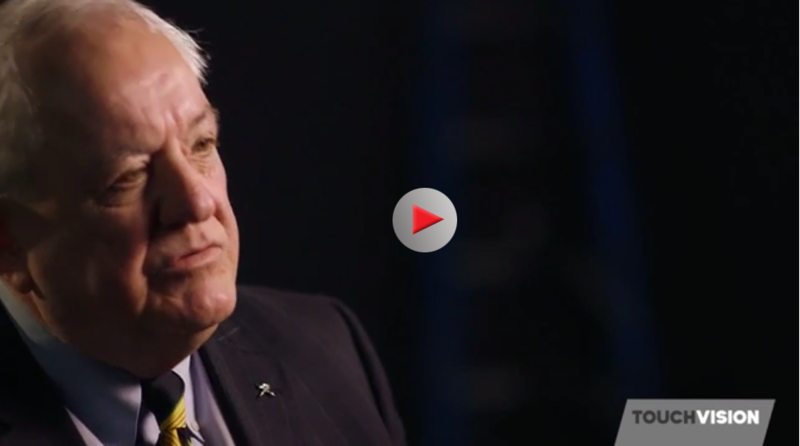 Following his retirement from the Secret Service, Albracht managed Executive Security Operations for the Ford Motor Company before returning to his home town to open a security consulting business. He penned a book, with co-author Capt. 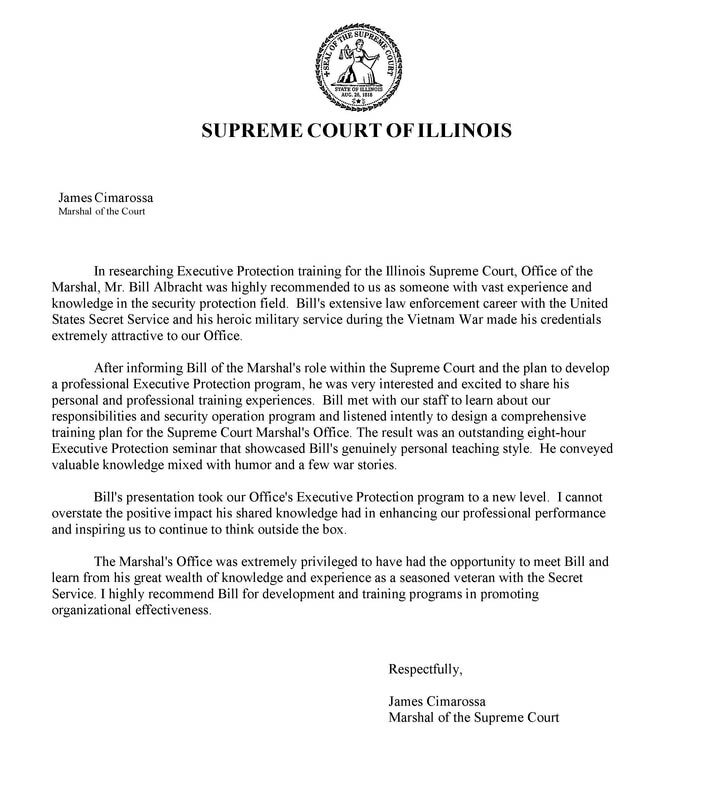 Marvin J. Wolf (ret.) about his Vietnam experience holding Firebase Kate against enormous odds. The book, Abandoned In Hell: The Fight For Vietnam's Firebase Kate has received acclaim from a number of military and civilian reviewers, and was made into a documentary. In current time, Albracht's focus is on motivational speaking, security and management consulting. Bill “Hawk” Albracht was born and raised in Rock Island, IL. After graduating from Alleman Catholic High School in 1966, he joined the US Army. 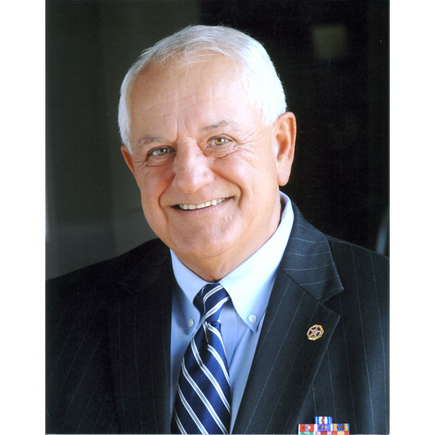 Bill attended Infantry Officer Candidate School and was commissioned a second lieutenant in 1967 at the age of nineteen. He spent his commissioned career in the US Army Special Forces, commonly referred to as the Green Berets. At age twenty-one, he was the youngest captain to command combat troops in Vietnam. 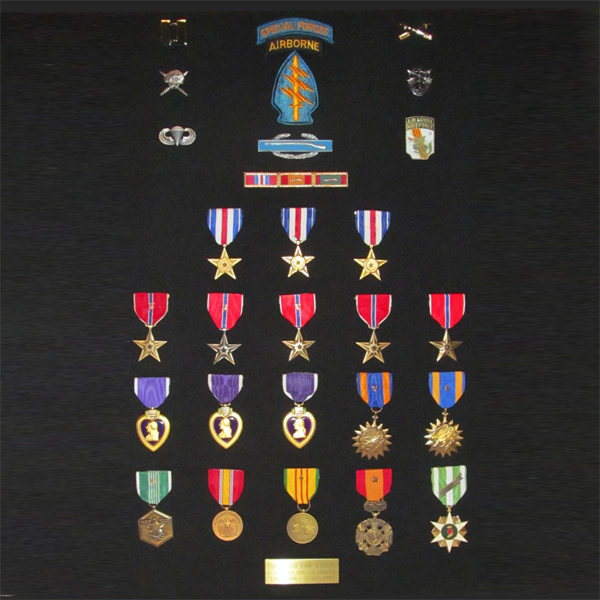 As the recipient of three Silver Stars for gallantry in action, three Purple Hearts, five Bronze Stars, as well as several other awards for combat valor, Bill is one of the most highly decorated veterans of the Vietnam War. Returning to civilian life, he worked his way through Augustana College in Rock Island. 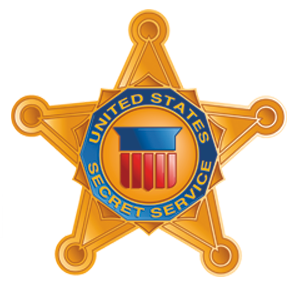 After graduation, he became a Special Agent of the US Secret Service. Over the next twenty-five years he protected six presidents and their families, as well as visiting foreign heads of state. He also worked to safeguard America's monetary system, and conducted criminal investigations for the Department of Treasury. Bill retired in 2001 as the Assistant Special-Agent-In-Charge of the Secret Service’s Washington D.C. Office. He then went on to manage Ford Motor Company’s Executive Security Operations and in 2005, he moved back to the Quad Cities and opened a security consulting firm, Executive Action LLC. Along with award winning author and decorated military veteran Captain Marvin J. Wolf, Albracht wrote the book Abandoned in Hell: The Fight for Vietnam's Firebase Kate. It recounts Albracht's leadership in Vietnam, specifically his heroic actions on a remote hilltop outpost called Firebase Kate. In the autumn of 1969, he took command of Firebase Kate and its 27 American soldiers and 150 Montagnard militiamen. Within hours, they were under attack by a well-armed and determined enemy force of some 6,000. Under a rain of fire and steel and menaced by almost constant ground attack, Bill and his men held out for five days. Cut off from supplies and reinforcements, with all means of resistance exhausted, Bill led his men through enemy lines under the cover of darkness in a desperate attempt to escape and evade the enemy. Abandoned In Hell: The Fight For Firebase Kate has received numerous accolades from reviewers and readers. The Washington Independent Review of Books wrote, "With a foreword by Joseph L. Galloway (co-author of We Were Soldiers Once) and excellent illustrations and photos, Abandoned in Hell: The Fight for Vietnam's Firebase Kate is a story that deserved to be well told." Major General Paul Vallely, two-tour Vietnam veteran, Fox News senior military analyst, and author of Endgame: The Blueprint for Victory in the War on Terror, said of Abandoned in Hell, "This gripping, gritty and cinematic blow-by-blow account of outnumbered Americans locked in a desperate battle with the North Vietnamese Army is destined to become a classic of its genre. If you read only one book about Vietnam this year, this must be the one." Capt. Albracht has appeared across the country in person and on TV to discuss the book. Abandoned In Hell, and the documentary Escape From Firebase Kate. For more reviews and videos about this tale of extraordinary courage and the remarkable men who fought for Fire Base Kate, please click here: Books & Documentaries. Today Capt. Hawk maintains an active speaking and consulting schedule, traveling as needed from his home base in Bettendorf, IA, where he lives with his wife Mary Moran. Together they have five children and eight grandchildren. "Speaking and working with others is my chance to share the lessons of leadership, skills and motivation I have acquired through my experience in the military, federal government and corporate America, and to show people they are not alone, we are all in this together."